Balance consumer engagement with search engine success. Quality research means better ads for your customers. AdWords is Google’s paid advertising service. In essence, you select keywords to target your ads to and when someone searches those keywords, your ad appears in a prominent paid position in their search results. Using a pay-per-click model, it’s a flexible marketing option for a range of budgets - and with the help of Supple’s trained Google Experts, we ensure you’re getting the most out of your investment. Why Do I Need AdWords Services? AdWords can be a key component in a comprehensive marketing strategy, positively impacting the overall success of your organic results and wider online visibility. 85% of people never click past the first page of Google results, and AdWords is one way to ensure you’re not missing out on these potential customers. You can stop your campaign anytime you want - making it a great choice for businesses as they build their organic results. You might not be using AdWords, but in a competitive market it’s likely your competition are. Without an AdWords campaign, your site doesn’t get seen on the first page of results. After starting an AdWords campaign, you can target keywords commonly searched in your industry and ensure your site is up there with the competition - leading to click-through and conversion. Anyone can set up an AdWords campaign - but without the right guidance, you can run the risk of not using your allocated marketing budget to its full potential. I engaged Supple to perform an audit for Aeon and have been very impressed by thequality of their work. I am now confident that Aeon meets industry best practice. I would not hesitate to recommend Supple to others. SEO is great, position #1 in a lot of cases, for most keywords... Thanks for making gallery more prominent on mobile device and also pinterest page looks great... well done guys.. I think what you guys have done recently with our keyword optimisation has been a great success we have noticed a large increase in projects. I can't recommend Supple enough - the team handled my web design and SEO, and now I have a fantastic looking website and a lot more web traffic coming onto it through Google. very professional, we have had a good response with their service and look forward to our continued service .The website has had many good comments and the google rankings are working well. 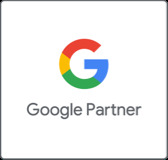 As a Google Partner company, AdWords can seem like second nature to our trained Google Experts. But if you’re new to AdWords, some of the specifics can get a little confusing. We’ve compiled a list of our top most commonly asked questions about AdWords, so you understand the what’s, why’s, when’s and how’s of Google’s paid advertising platform. - Who should use AdWords? If you have a business that sells products online or offers services that people can hire, you should consider using AdWords as a customer acquisition channel. Any business that is serious about online marketing should try out AdWords to see if it’s a good fit for their business. + Who clicks on AdWords? Research has shown that 64.6% of people click on Google Ads when they are looking to buy an item online. You can target customers in all stages of their purchase journey with highly targeted AdWords campaigns, from the initial awareness stage to the end purchase stage. + Which is better, AdWords or SEO? Both SEO and AdWords have their advantages when it comes to digital marketing. For immediate results AdWords is a better option since SEO is a long term strategy. Depending on the market and product you might need to invest in both SEO and AdWords to run an effective marketing campaign. AdWords are great if you want to target seasonal products or when you want to quickly get visitors to certain sections of your site. You can set up a highly effective landing page and start sending targeted visitors to that page. AdWords can also be beneficial if you are starting a new website and don’t have SEO traffic yet. You can set up an Ad campaign and start getting visitors almost immediately. + Are Google AdWords cost-effective? Compared to traditional marketing channels like print and TV advertising, online marketing is highly measureable, and AdWords is one of the most effective digital marketing tools. AdWords allows you to start calculating how much ROI ( Return on investment - How much profit you've made from your ads compared to how much you've spent on those Ads ) you are getting for each dollar you put into an Ad campaign. +How do I improve Google Ads quality score? +Would Google AdWords help my business? Yes, all businesses can use AdWords to grow their business. The trick is to know how you can effectively set up and optimise your Ad Campaigns - this is where we come in. We are Google certified AdWords professionals who can help set up and optimise your AdWords campaigns to perform at its best. +Want a free AdWords voucher? We can help you with that. On a successful consultation on how Supple can help you organise and optimise your AdWords campaign, we will give you a Google Adwords Voucher, which you can use to get a bonus A$100 when you spend A$25 in Google Adwords.